Nestled along the Matanuska River in the valley between the majestic Talkeetna Mountains and the impressive Chugach Mountains, the fabulous city of Palmer, Alaska, offers an excellent location, fabulous attractions and entertainment opportunities, a wonderful community, and much more. This lovely city is the borough seat of Matanuska-Susitna Borough, and it is located approximately forty miles northeast of dynamic Anchorage. Regardless of your interests, you will not struggle to find enjoyable activities to fill your free time. Stunning Palmer, Alaska, land and single-family home options are ready to impress you, so now is the time to consider what it would be like to live in this fabulous city. Whether you are interested in nature, the arts, shopping, or something else, you will discover fun activities that complement your favorite pastimes. For example, you may enjoy visiting the charming Palmer Museum of History and Art. Located in the beautiful Visitor Information Center, this museum showcases artifacts from Palmer’s past. When you are finished touring the museum, you will enjoy spending time outside enjoying the center’s public gardens. During the summer, over 600 varieties of locally-grown plants will impress you and inspire you to explore the many surrounding parks and natural areas. You will also enjoy viewing plants at the annual Alaska State Fair, held in wonderful Palmer every year. When you are ready for a quick change of pace, you can travel the relatively short distance to vibrant Anchorage. Excellent restaurants, interesting museums, captivating live performances, and a dynamic nightlife scene are only a small sampling of what this dynamic city has to offer. You can have fun knowing that your peaceful Palmer single-family home is awaiting your return. When you see the stunning mountains, you will know that you are home. A great location, welcoming neighbors, and beautiful residences are only a few of the benefits of living in this beautiful city. Attractive Palmer, Alaska, real estate options are waiting to pique your interest, and you are sure to find something that suits your style. 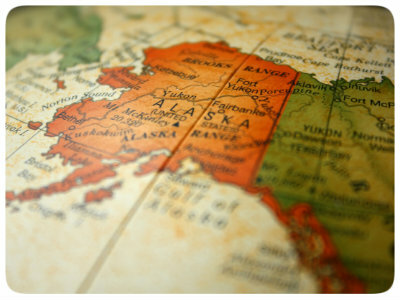 If you are ready for more information regarding magnificent Palmer, Alaska, land and single-family homes, please do not hesitate to contact us. Great Location for your new home! This lot feels like country yet so close to Trunk Road for a great commute location.